Yep, ‘tis the season to be victimized, and the identity-stealing elves are working overtime. In the last month alone, ConsumerAffairs has reported on several phishing and email scams. Now, the Internal Revenue Service (IRS) is checking in to remind consumers that, come holiday season, all bets are off. Of all the U.S. government agencies, cyber scammers seem to love the IRS more than the others. Attempts to bilk taxpayers have risen 60 percent in 2018 alone. 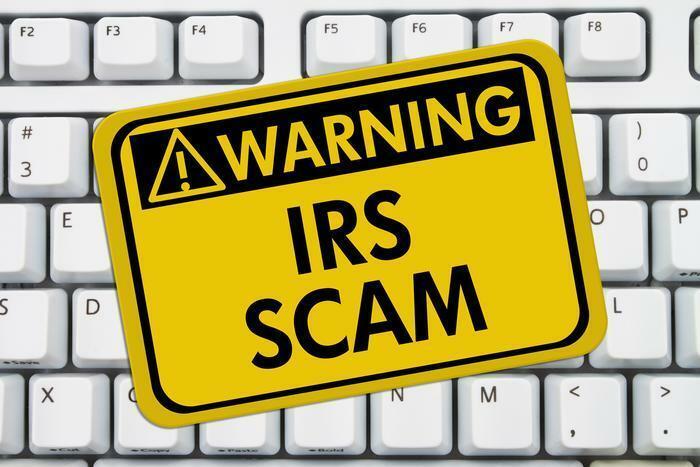 As ConsumerAffairs readers know, IRS scams come in many forms. There’s the kind where scammers try to capitalize on a national tragedy to bilk consumers; the impostor scam where a supposed someone from the IRS tries to scare you into paying; and the W-2 scam where the scammer asks an employee to send a list of all company employees with their W-2 forms in order to pilfer multiple identities. The IRS can’t emphasize the importance of being cautious enough. “There is no fool-proof technology to defend against [these attacks.] Users are the main defense. When users see a phishing scam, they should ensure they don’t take the bait,” the IRS reminds consumers. Be vigilant; be skeptical. Never open a link or attachment from an unknown or suspicious source. Even if the email is from a known source, approach with caution. Cybercrooks are adept at mimicking trusted businesses, friends, and family -- including the IRS and others in the tax business. Thieves may have compromised a friend’s email address, or they may be spoofing the address with a slight change in text, such as name@example.com vs narne@example.com. In the latter, merely changing the “m” to an “r” and “n” can trick people. Another telltale sign that a scammer is on the other end of the email are grammar and spelling errors. The IRS doesn't initiate spontaneous contact with taxpayers by email to request personal or financial information. This includes asking for information via text messages and social media channels. The IRS does not call taxpayers with aggressive threats of lawsuits or arrests. Phishing schemes thrive on people opening the message and clicking on hyperlinks. When in doubt, don’t use hyperlinks; instead, go directly to the source’s main web page. Remember, no legitimate business or organization will ask for sensitive financial information via email. Use strong passwords to protect online accounts.Password breaches continue to happen, and the IRS emphasizes that each account should have a unique password. Use a password manager if necessary. Criminals count on people using the same password repeatedly, giving crooks access to multiple accounts if they steal a password and creating opportunities to build phishing schemes. Experts recommend the use of a passphrase, instead of a password. You can do this by using a minimum of 10 digits, including letters, numbers, and special characters. Longer is better. Use multi-factor authentication when offered. Some online financial institutions, email providers, and social media sites offer multi-factor protection for customers. Two-factor authentication means that in addition to entering your username and password, you must enter a security code generally sent as a text to your mobile phone. Even if a thief manages to steal usernames and passwords, it’s unlikely the crook would also have a victim’s phone. If taxpayers question the validity of any email, the IRS has staff on-call to review those emails. Taxpayers can forward these email schemes to phishing@irs.gov and the IRS will authenticate those messages.